Are you unhappy with the appearance of your imperfect front teeth? The “social six” are what we call the ones that show when you laugh, speak, and smile -- and if these teeth are chipped, stained, or otherwise flawed, it can leave you wanting to hide your beautiful grin. Fortunately, porcelain veneers can come to the rescue for teeth in the smile zone! Keep reading to learn more about how your cosmetic dentist in Plainview can enhance your grin with this fabulous treatment. Porcelain veneers are thin coverings that can mask the appearance of just about any cosmetic imperfection that may affect your front teeth. These restorations are customized to match the size, shape, and shade that will suit your unique smile and facial features the best. To place veneers, we must first remove a small sliver to enamel from the surface of each of the targeted teeth. Impressions are taken and the veneers are created according to the specifics of your treatment plan. 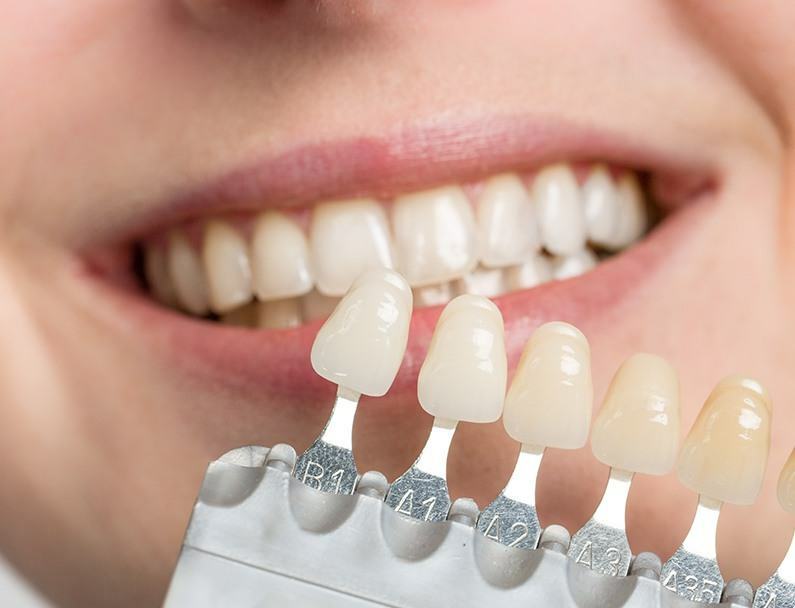 Once they are ready for placement, the surface of each prepared tooth is roughened up and a special bonding agent is used to ensure a secure attachment between the veneer and tooth enamel. This process is completed over the course of two visits to our office and can last for up to 20 years with proper care and maintenance. All the benefits of smile confidence, including increased self-esteem, more frequent smiling, etc. Most people with healthy but imperfect front teeth can indeed benefit from porcelain veneers. 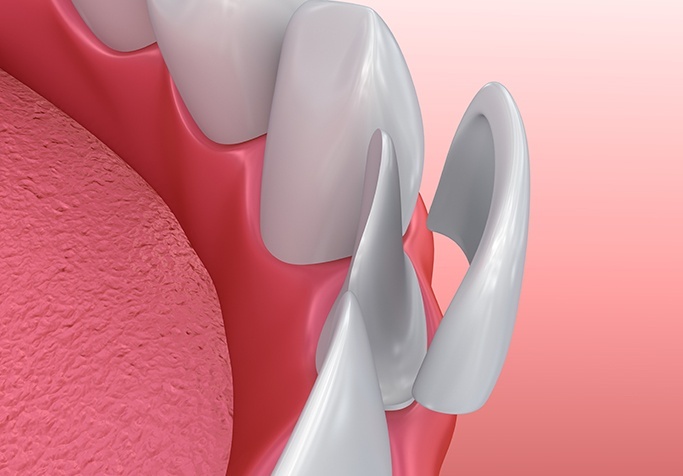 Patients who have problems with the structure of the tooth in addition to its appearance may be better suited for a dental crown or other restoration. To find out for sure if this treatment is right for you, you will need to schedule an initial cosmetic consultation with our office. If this is a good option for your improving the appearance of your teeth, we will look forward to getting started right away. Our goal is to help our patients enjoy a healthy, beautiful smile -- and for many people, the latter is achievable with porcelain veneers in Plainview! 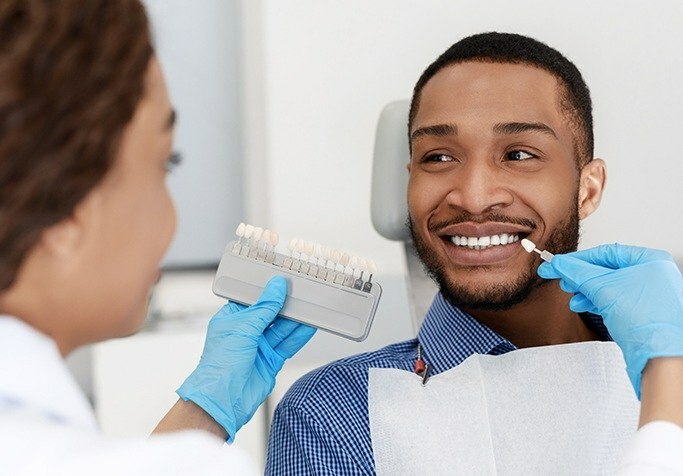 If you are interested in learning more about this specific treatment or what is possible with cosmetic dentistry in general, you are invited to request an appointment today.